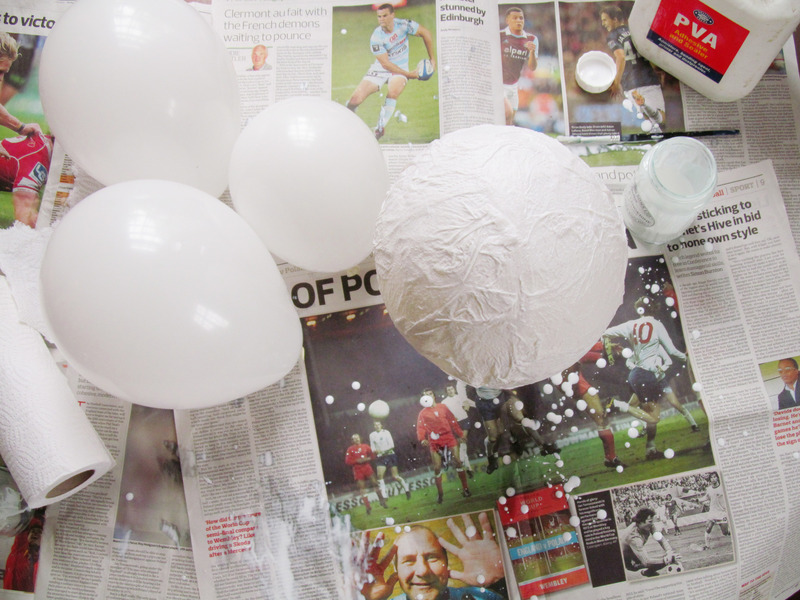 Step 1: Blow up your balloons and cover them in paper mache! If you haven’t done this before, just fill a jar with half water and half pva, dip strips of kitchen towel into the jar and smooth them, overlapping, onto the balloon. Do two or three layers, and put the balloons in jars so that they stay upright. Leave to dry overnight. 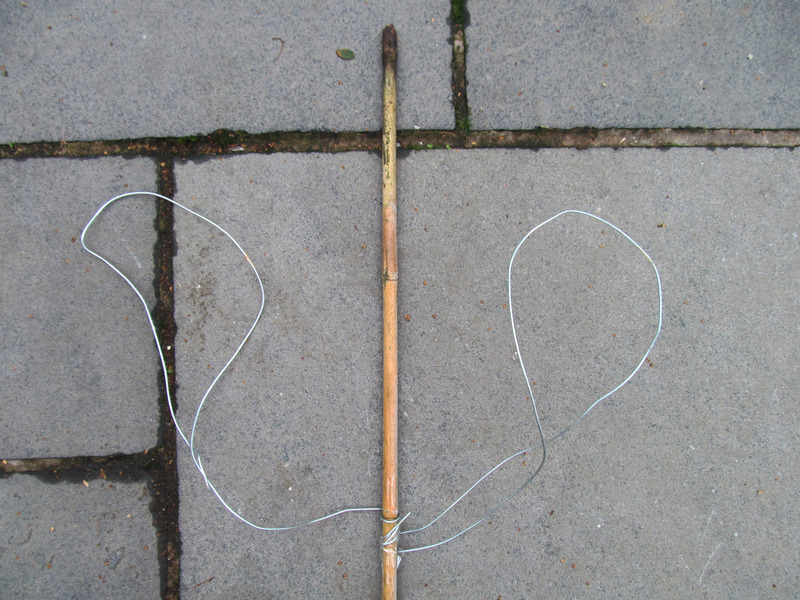 Step 2: Wrap wire around the top half of the stick to form ghost arms. If your wire is sliding down the stick, tape into place. 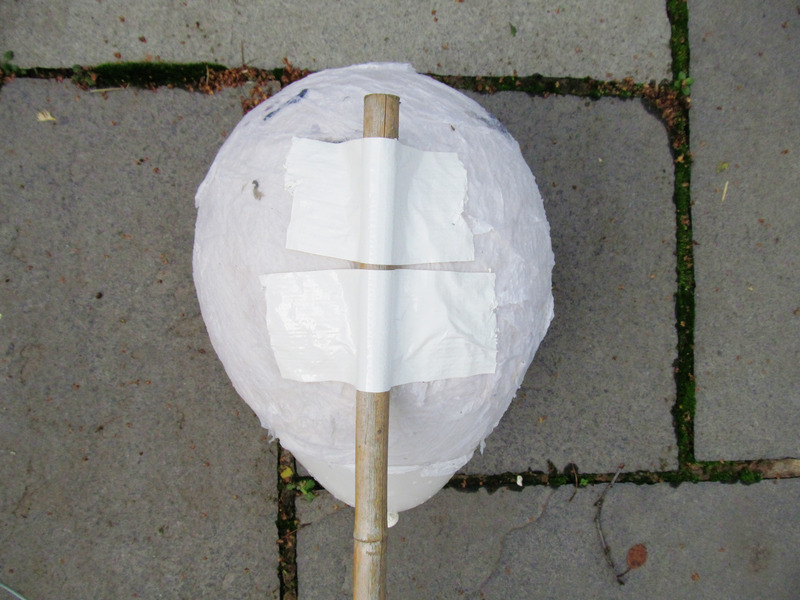 Step 3: Once your paper mache is fully dry, tape it onto the top of the stick to form the head! 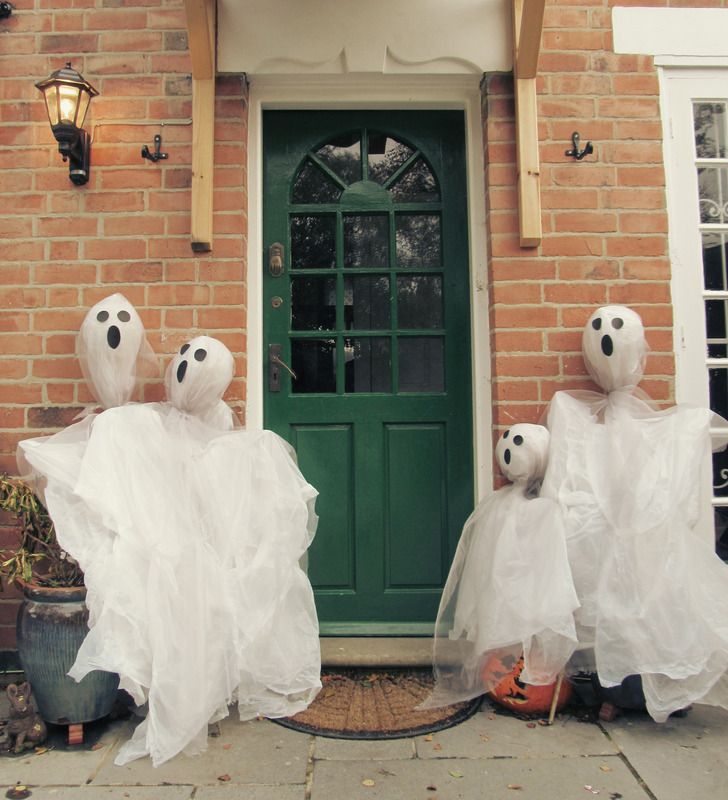 Step 4: Cut the handles off the bin bags and pull them over the top of the ghost. Secure the bin bags around the neck by tying with a bin bag handle. 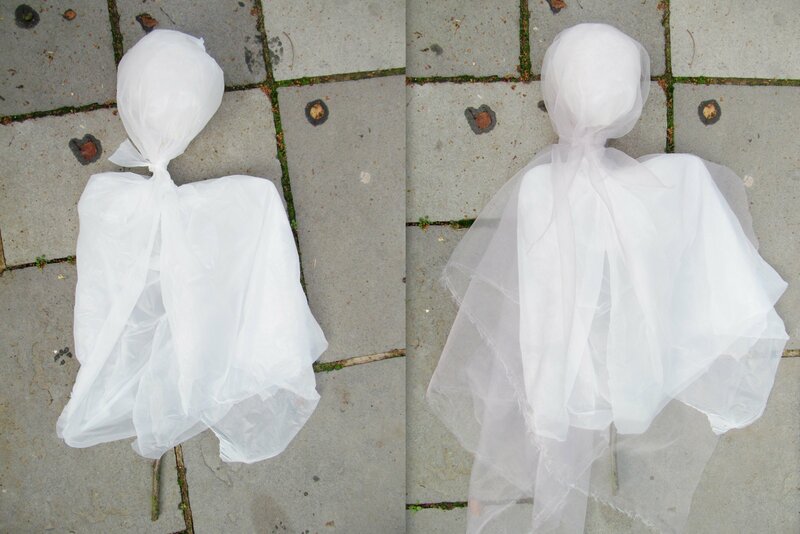 For larger ghosts, you might want to chop up the bin bags and tape them together to get a bigger ghost body! 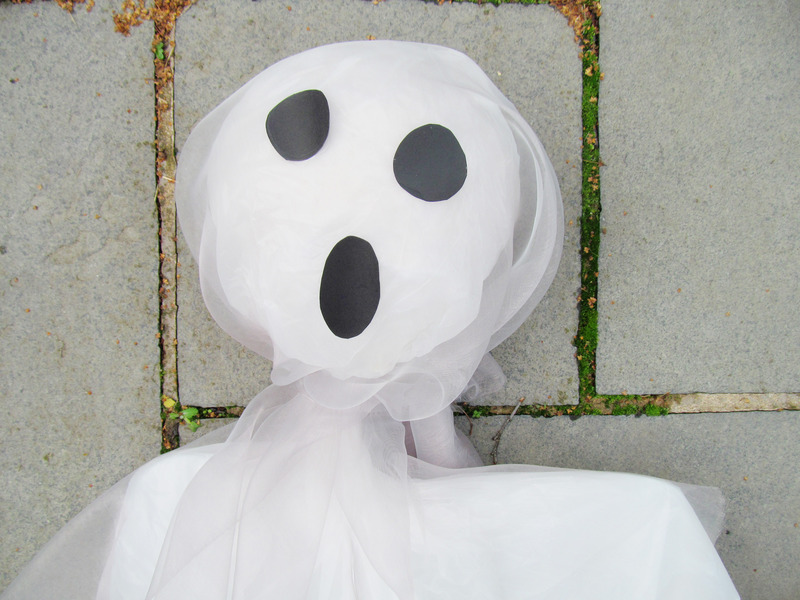 Step 6: Cut out eyes and a mouth from the black card, and glue onto the ghost face. 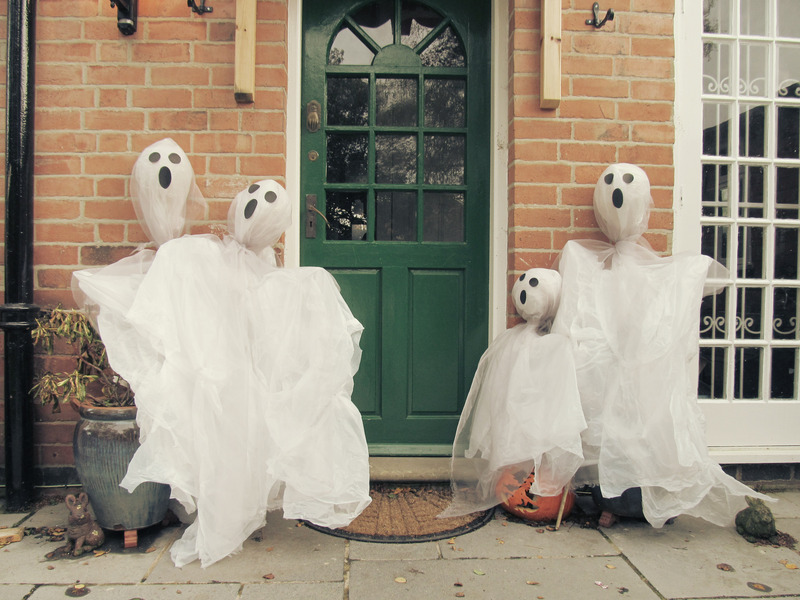 There you have it, a nice family of ghosts to welcome you home until Halloween. 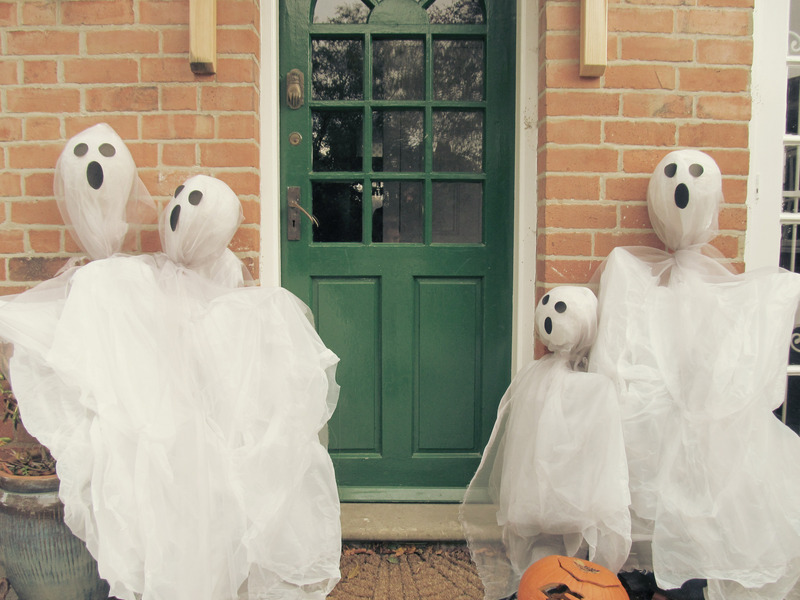 Mine are currently inside lurking in dark corners, as it’s been rather rainy… I will put them outside for Halloween and hopefully we’ll get lots of trick or treaters! This idea is so cool!! I will def follow your steps to decorate this way! This is so much fun! Hello, thanks so much for stopping by my blog and commenting! This is such a great idea, and so well done! That will be fun halloween night. Can’t wait to see. These guys look like fun! I love it to much to even start to express. Oh my gosh, these are the cutest! Love this project.